For Barcelona, it’s a matter of points and glory. Not a single table topper would want to drop points in such a derby in football, especially when it comes to the famed El Clásico. They may have Leo Messi rested for his arm injury, but Barcelona aren’t just about Messi. Yes, Messi is the best forward in the Barcelona squad, yet don’t forget that Coutinho, Rakitić, Suárez, Dembélé and Munir still possess a threat to the Real Madrid back four. They aren’t just goalscorers but players who can disrupt the flow of the play. 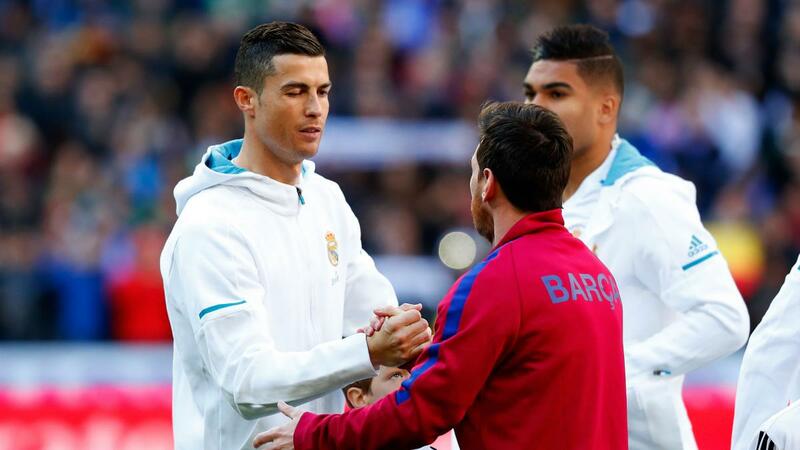 Thus, while Madrid may have a sign of relief of “no need for marking Messi”, they may need to formulate a strategy to contain all the players I’ve mentioned above before the contest of the century, which is nearly impossible in reality. With the home advantage at Camp Nou and their better record this season, Barcelona will gain an upper hand in this fixture. Despite that, with the absence of their Argentine leading man, I believe that they’ll have a harder time finding the back of the net. Also, don’t forget that Lopetegui was the manager of the Spanish national team before signing for Real Madrid. With the knowledge of the Barcelona players in the Spain lineup, will this give the home side a headache to recover from? For Real Madrid, it can be a lifesaver for Lopetegui and his men. If Real Madrid doesn’t win the El Clásico this October, big changes will be made for the Spanish club to alleviate, if not solve, the problems in the dressing room of the Bernabéu. I’m certain that Florentino Pérez and Julen Lopetegui know this. Courtois and the defence have been awful. The midfield may be decent but the frontline is clearly misfiring. Real Madrid with Cristiano Ronaldo may be seen as a “one-man-team” but with his presence, things certainly are easier to get done. By beating Barcelona, Los Blancos would be mounting a huge momentum to re-establish themselves as one of the best teams in La Liga. Their away form has been dreadful, yet Sergio Ramos will remind his fellow teammates to fight until the end. After all, as Johan Cruyff once said, “to win you have to score one more goal than your opponent”. One chance for the forwards and one mistake made by ter Stegen is enough for the Madrid giants to seal the three points at Camp Nou. Winning El Clásico may not save Lopetegui’s job. However, if the Spaniard can, he may stay for a bit longer until gifting another chance to Pérez for making the decision on his future. It seems that most of us are inclined that Barcelona will win against Real Madrid. Yet, please be reminded that it is mainly our own opinions and no score should be treated as certain before the final whistle is blown. So what do you think of this match? Would you be chanting “força Barça” or cheering “Hala Madrid” this Sunday? Let us know in the comments section below.